I remember the first time I was ever really, truly scared. I was 6 years old, trick-or-treating around my neighborhood. An elaborately costumed woman sat in a rocking chair — to the best of my little-kid knowledge, just another spooky statue — until I reached out for a piece of candy and felt a hand tighten around my wrist. I screamed. I cried. I didn’t want to go trick-or-treating anymore. Though my parents tried to coax me back out, my night was completely ruined. I had nightmares for months afterward. I even had to be convinced to go trick-or-treating the next year. All because some adult thought it was OK to scare the crap out of a little kid. I get it — Halloween is supposed to be spooky, scary and frightening. If that’s your thing, I’m cool with it. Go to haunted houses, watch horror flicks to your heart’s discontent, but don’t force the creep factor onto those who don’t enjoy it, especially my kids. Trick-or-treating shouldn’t be an anxiety-inducing experience. It’s a night for playing dress-up and collecting candy, which is basically the kid version of utopia. Ruining that because you have a different idea of what Halloween should be like is cruel and completely unnecessary. It’s not a joke to scare little kids. Trust me, there’s nothing funny about waking up to a terrified 2-year-old crying in the middle of the night because of a bad dream — it’s absolutely heart-wrenching. It shouldn’t be your call as to whether my kids have nightmares for the next few months, so can it with the super-horror-inducing decor and stuff that jumps out of the goddamn bushes. You may think it’s mild, but for a trick-or-treating toddler, that cackling demon clown is straight-up nightmare fuel. You aren’t going to be the one waking up at 2:00 a.m. trying to console a panicked kid — I am. So if someone tries to pull some sort of scary stunt on my kids, they’ve got another thing coming. If you think you know scary, you obviously haven’t seen the sort of monster a mother turns into when her kids are in danger. I’m a whole new level of frightening when my kids are threatened, so you ought to think twice before spooking the wrong child. Sure, some kids like getting a little scared on Halloween, but kids need to have some agency over whether or not they get spooked. I’m all for haunted houses, because that lets kids know that there are scary things ahead. Kids like myself could easily bypass those houses in favor of more stress-free treat gathering. Some kids are just in it for the candy, and we all should be able to respect (and, quite frankly, applaud) those kids. Not wanting to be scared is totally normal, and it should always be a choice, even on Halloween. 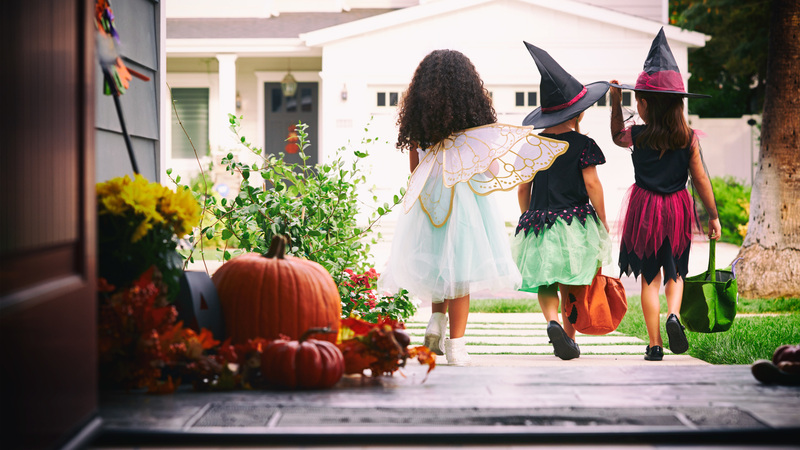 Kids should be able to enjoy trick-or-treating without feeling anxious that something is going to spook them. They shouldn’t have their hearts beating out of their chests because they are scared of the terrifying decorations they might see on a neighbor’s front lawn or that someone might be waiting to jump out from behind some spiderwebs to grab at them. Halloween is not an excuse to get your jollies by frightening those who least expect it. Let your fright flag fly on your own time, in your own space, and leave everyone else out of it. And if you still think you might want to risk it and give some kids a good fright, just remember: The night is dark and full of mothers.